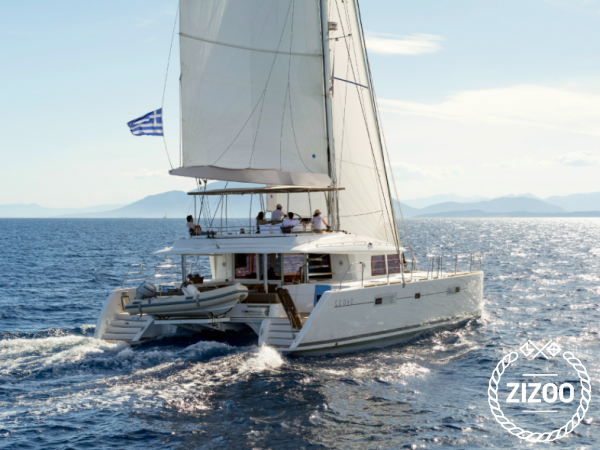 Searching for a dream luxury yacht for your next sailing holiday in Greece? Look no further, the fully crewed Lagoon 560 is ready to take you on a trip of a lifetime. The Lagoon 560 is one of the largest catamarans available to charter, offering incredibly large living spaces but inside and out. Travel in the ultimate style and comfort with up to 10 guests who will rest easily at night in one of 5 bright and airy staterooms. As you journey around the coast of Athens, you and your guests will enjoy 5-star service provided by the 2-person crew. The Lagoon 560’s extensive deck offers plenty of space to take in the sun, enjoy expertly prepared cocktails and take in the cool breeze. Don’t wait- book this Lagoon 540 today. Der Katamaran ist natürlich preisintensiv aber ein wunderschönes schickes Boot! Wer sich etwas luxus gönnen will, sollte ihn chartern! !